Now I know what you're thinking--"Kourtney, this is just a restaurant." Nope. No it's not. This is a place where I've shared meals with many friends. A place where we ended the night of our wedding surrounded by our closest loved ones. A place that even still today has not served a meal I have not liked. You walk into an intimate, neighborhood restaurant, and even the establishment itself has its own character. From beautiful barn doors to wall panels made from old Chicago porches, all of the decor is on its second life (hence the name). You're greeted with a quaint bar--perfect to grab a wine, whiskey or craft brew. The menu at TWO changes frequently to ensure an authentic, seasonally fresh menu. Even with those consistent changes, I've had the pleasure of enjoying meals with both meat & non-meat eaters alike. 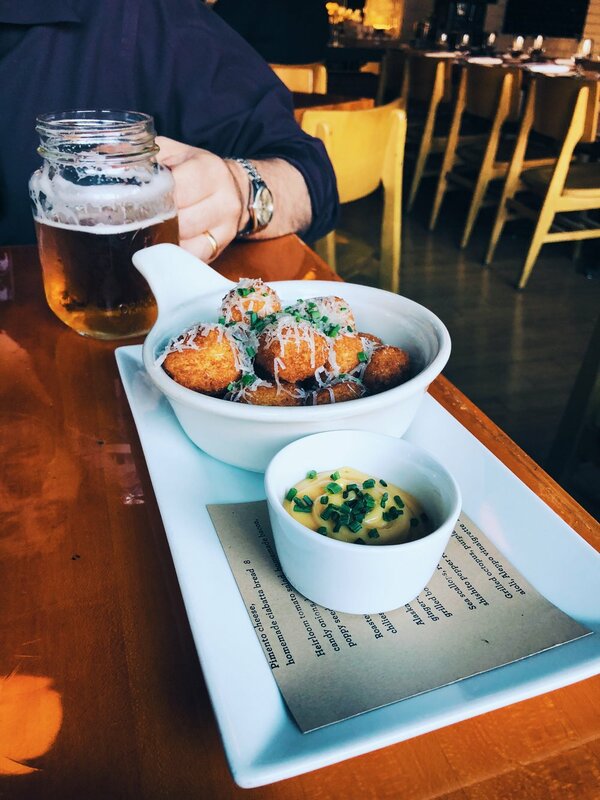 Now, we personally think it's a better experience to share meals at TWO, but you also can't go wrong with ordering your own dish along with some appetizers. And yes, this is still our go to date night spot--we still come here for every anniversary too. If you do anything in Chicago, stop by at least once. They even make Grandma's Puppy Chow, I mean come on! 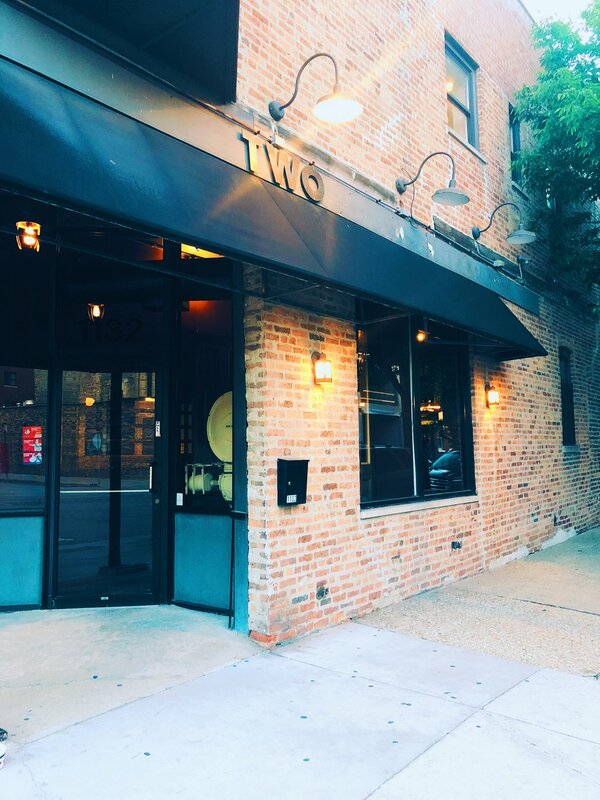 Located at 1132 West Grand Avenue in Chicago's West Side neighborhood.